Communication senior Annalissa Hartsell rehearses for “Under Construction,” the fall dance concert. Presented by the New Movement Project, the show opens Thursday at the Wirtz Center Ballroom. “Under Construction,” The New Movement Project’s upcoming fall dance concert, incorporates elements of construction in the choreography, which reflects the setting the dancers have been working in at the Wirtz Center. Running this weekend, the show will feature nine choreographers in a series of eight different dances. Production began at the end of September. This year’s creative process has been more collaborative than in the past, as it has included a series of workshops and rehearsals in front of an adviser, said Communication senior Paige Lester, one of the choreographers. “It’s a much stronger and cohesive show because of these things,” Lester said. The dances each stand alone, but in the production process an underlying theme became apparent, Spikner said. Lester’s piece, which features three dancers, differs from conventional choreography because of its movement, Lester said. Her choreography fits into the theme “Under Construction” through the relationship among the dancers in the piece, who act as siblings. 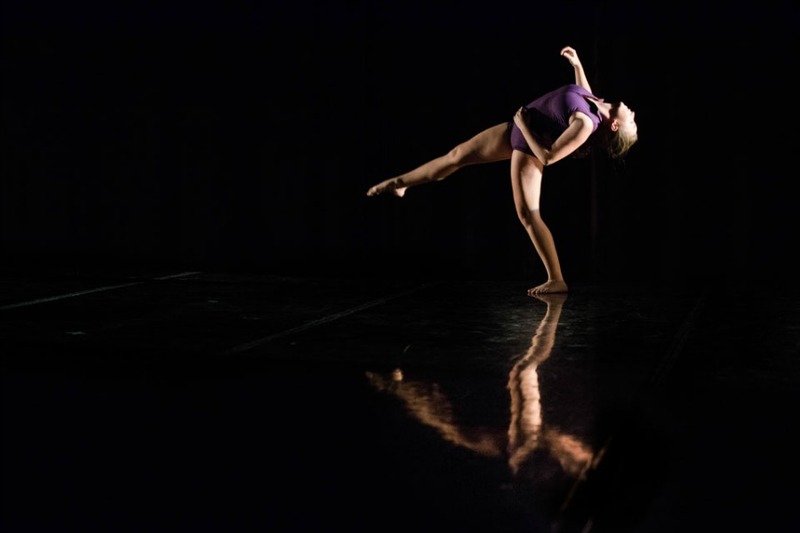 Communication senior Savannah Couch’s dance relates to the theme through the construction of the physical body. As part of a research grant, she spent last year studying different organizations that offered performance training to those with disabilities. She has used this experience to think about how different movements work better for different types of bodies, she said. “I tried to learn how to choreograph energy instead of just different shapes,” she said. The show runs from Thursday, Nov. 12, to Saturday, Nov. 14, in the Wirtz Center Ballroom.